Susan earned her reputation as a highly knowledgeable and skilled litigator in design patent law, trademark and copyright enforcement. She has been lead counsel in hundreds of cases, developing successful strategies to prevent unfair knock-offs and in defense of those who have not crossed the line. An IP design law innovator, she won several precedent setting cases, including a multi-million dollar jury verdict in a cutting-edge trade dress case. Her "in the trenches" experience includes district courtrooms around the country, appeals courts, foreign courtrooms, and co-authoring briefs on important design law cases at the U.S. Supreme Court. She successfully briefed and argued hundreds of motions, appeared in countless hearings, conducted numerous oral arguments, and tried bench and jury cases. She is recognized by her clients as smart, hard-working, detail-oriented and tenacious, with a keen ability to stick to the principles of the case at hand. Susan’s ability to develop strategies preventing infringements before they happen and resolve them without full-blown litigation makes her constantly in demand by a robust list of domestic and international clients. 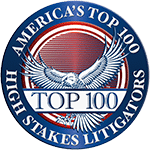 She has been voted by her colleagues as a Super Lawyer in Upstate New York, Corporate Edition, since its inception and achieved an AV Preeminent Rating by Martindale Hubbell Peer Review, and the Judicial Edition. Named one of the top 25 Women Lawyers in Upstate New York by Super Lawyers across all disciplines, Susan’s insight and work has been featured in scores of publications, including The Wall Street Journal, The New York Times, San Francisco Examiner, and Los Angeles Times. She is a frequently sought-after speaker on design law topics by academic institutions, trade associations, bar associations, and USPTO events. Her chapter on design law is the legal authority in THE STATE OF THE INTERIOR DESIGN PROFESSION, published by Fairchild books. She chaired the committee proposing the first and only comprehensive set of jury instructions in a design patent case that was unanimously adopted by the Intellectual Property Owners Association. Today it's the seminal work used by Federal Courts in design patent jury cases. The Design Rights Committee at IPO won Committee of the Year under her leadership. 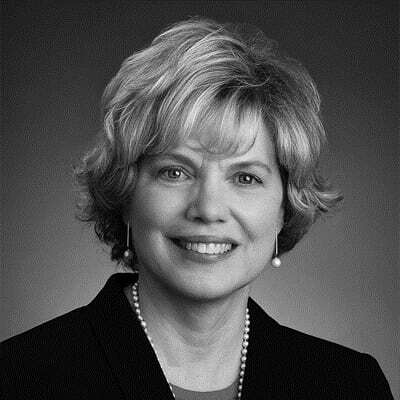 Susan also provides expert witness services on the subject of design law and litigation. Susan is a proven team leader in the litigation practice area at HRFM, providing clients with a deep knowledge of how to overlap utility and design patents, copyright, and trademarks in enforcement and procurement. She brings to each client a real-world strategy for cost-effective use of IP laws in their specific market. She credits the key to her loyal and successful practice to her sincere interest in the success of her clients and the ability to select and guide a great team to get the client the results each deserves. At HRFM, Susan is one of three members of the Management Committee and for years directed the firm's internal education training program for attorneys. Community service has always been a passion for Susan, who has served as trustee/board member of many civic organizations, including: Albany Law School; Northeast Parent & Child Society; Center for Economic Growth, chairing the first Capital District Business Hall of Fame event; and Junior Achievement, where she also served as chairman of the board. Neocon World's Trade Fair – 2008 Chicago (June 2008, June 2007), The Bottom Line on Protecting Product Design: Don't let Profits Get knocked Out by Knock Offs. InterAct Conference – Keynote speaker (October 5, 2006), The Law of Originality: Imitation or Inspiration: Where Do We Draw the Line? Foundation for Design Integrity (Fall 1996), "Don't Knock It Off"
©2019 Heslin Rothenberg Farley & Mesiti P.C. All rights reserved.